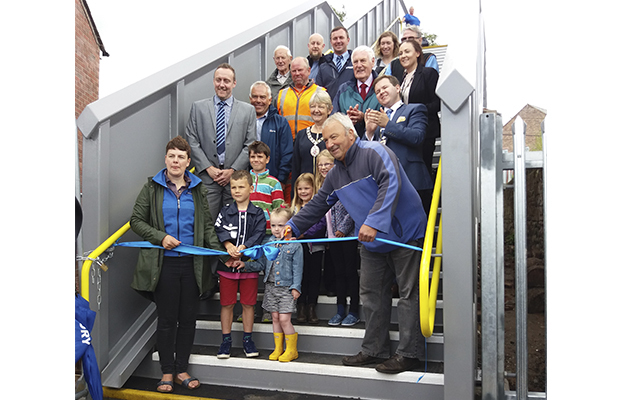 Story have recently been carrying out a project for Network Rail to replace Gilwilly footbridge, with a new structure which will provide safe access over the railway for years to come, with the new bridge officially opening today (Friday 28 July), 3 days earlier than expected. Story were joined by Network Rail, the Mayor, members of Eden District Council and local residents on the Castletown side of the bridge to mark the occasion. Work started to replace the original footbridge in April 2017, with the new footbridge, which carries local people over the busy West Coast main line, being lifted into place on 15 July.